One of the colors which all amateur gardeners wish is a good, strong blue, one which does not fade easily but which holds its own. Anchusas when planted in large masses, appear as a misty sea of deep blue when in bloom. Although possessing nothing to recommend it as a cut flower, it is a tall growing blue perennial that is deserving of a place in every garden. The plants of Anchusa italica, Dropmore Variety, which is the commonest one grown, attains a height of 3 feet to 5 feet, and blooms during June and July. The leaves are very large, heavy and hairy. The flowering branches are sent out in all directions from the plant and bear large, loose clusters of giant Forget-me-nots of soft turquoise blue. Many have a white eye. The Opal variety is light pinkish blue. The blooming season can be easily lengthened by cutting down the taller sprays when the flowers begin to fade. This will cause smaller spikes to appear which will continue blooming through September. 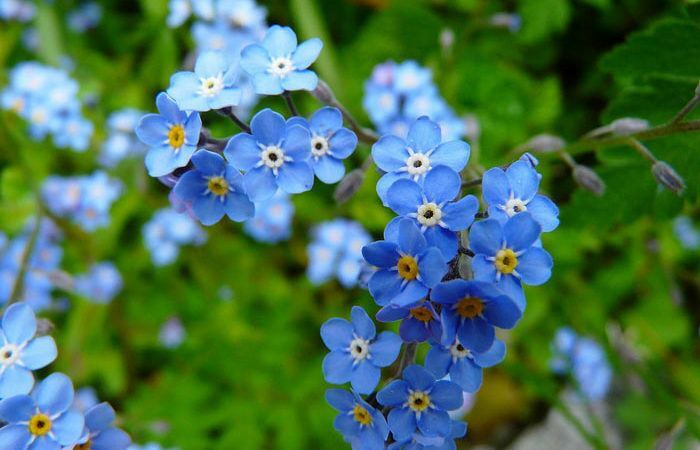 They are of such beauty and are so attractive in early Spring when so few blue flowers are in sight, that they have proven very popular. The bees also delight in visiting them. UTILIZE. Anchusas have proven an invaluable plant for the border, and are used in woodlands to a certain extent. A. myosotidiflora is a dwarf variety bearing small flowers and is used effectively in rock gardens, especially in a shady nook, where it blooms all Summer. GENERAL. Any good garden soil, plenty of sunshine, and a well-drained situation suit them. Most of the plants become fully established during the second or third year. 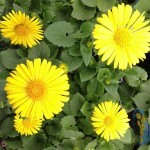 They are moisture-loving plants and should be given copious soakings of water during dry spells. 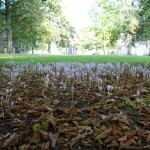 The plants should be staked during the flowering season. PROPAGATION. Seeds and division of the plant. Anchusas self-sow very readily. The roots are very juicy and brittle so that when the plants are dug, they are frequently broken. Each root allowed to remain in the soil will produce a new plant.